God, it’s hot. The forecast for the rest of the week is 99, 99, 99, … It’s only mid June. Not a good sign. Maybe we are so hot because our team beat the Miami Heat to win the NBA championship!!!!!!!!!!!!!! Yay Mavs!!!!!!!!!!!!!!! 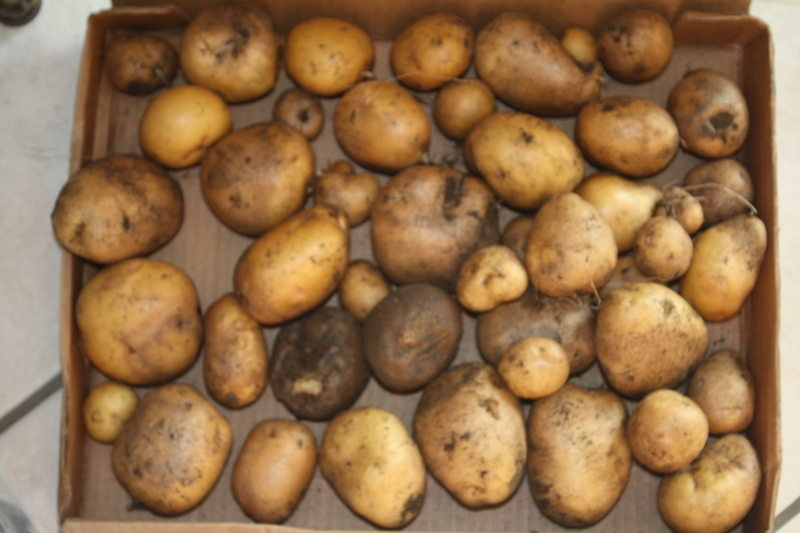 The tops to my potatoes had died, so I harvested them. 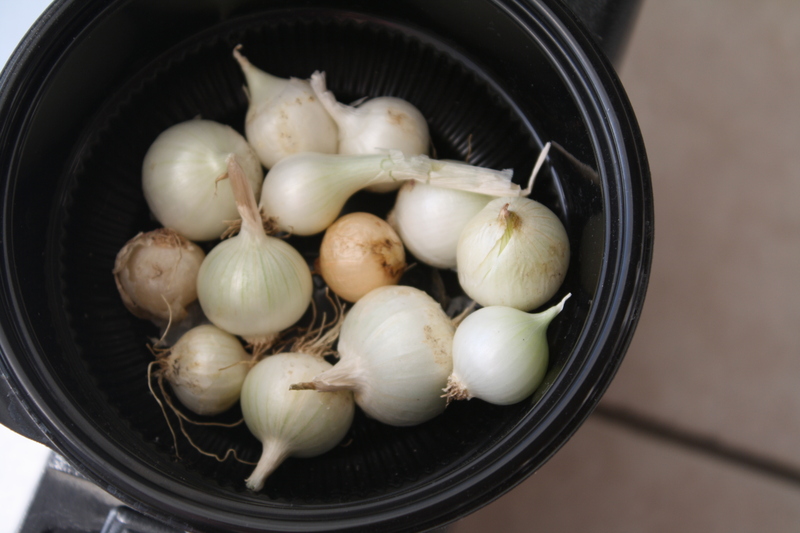 Some are small but I think I will roast those with my baby onions, and maybe some rosemary IF I can stand to turn the oven on. 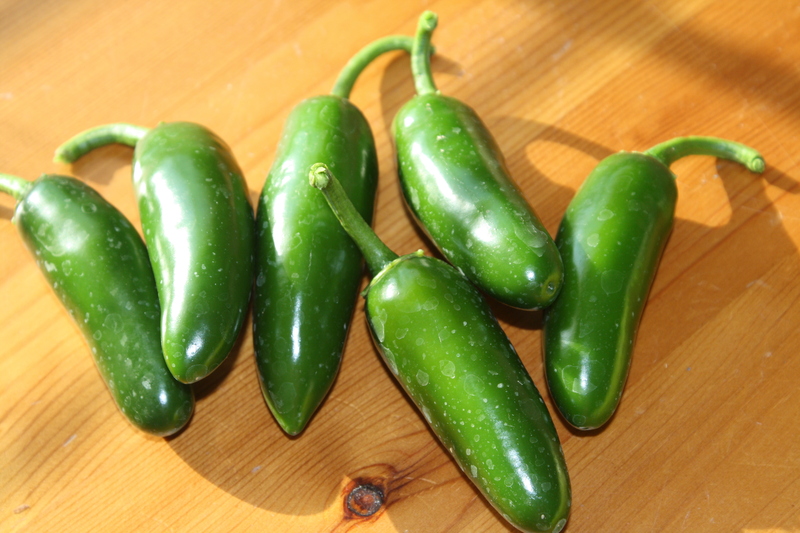 My jalapeno peppers are really producing. I made a fresh salsa for the Mavs game. Just jalapeno, tomatoes, onion, garlic, cilantro, salt, freshly ground pepper and a squirt of lime juice. If my avocados had been ripe, I would have put them in there, too. 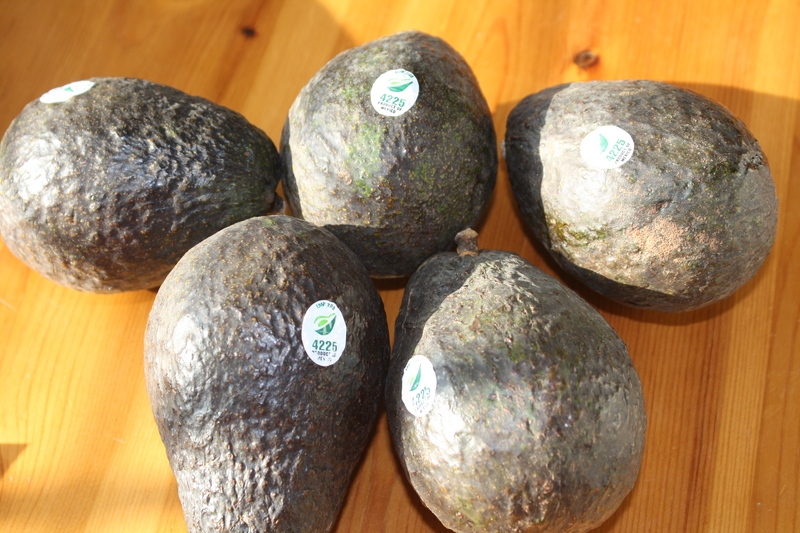 If there is one thing I could have growing in my garden, it would be an avocado tree. In the meantime, there is Costco. Now, if I could just find a way to beat THIS heat!